Every seamstress / sewer needs good pins. This listing is a pack of 100 pins that are 1/5 inches long. 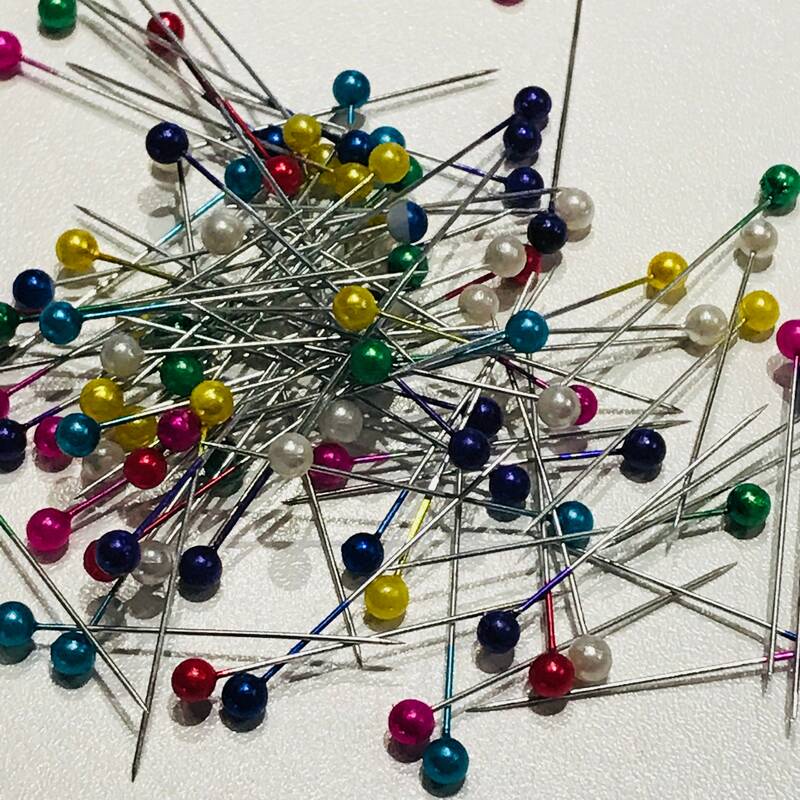 Coloured balled ends make it easy to stick pins in and pull them out with little effort.